This highly stylish curved walk in shower enclosure is made in market leading 8mm toughened safety glass and includes easy clean glass treatment. Each curved open shower can be supplied with a quality low level recessed shower tray or supplied glass screen only for wet room installations. The Open Curve is shown with an optional thermostatic shower column and wooden tray insert. 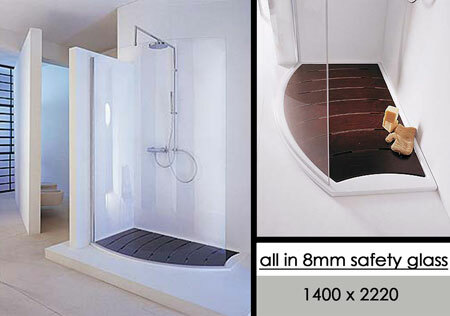 * For tray or wetroom installation. * Glass is easy clean treated.